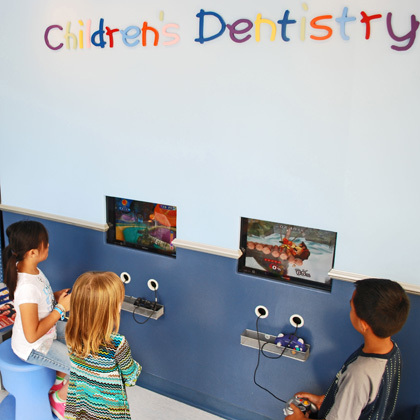 Welcome to Irvine Children's Dentistry, where we provide high quality, professional pediatric dental care and orthodontics for infants, children, and teens throughout Irvine, Newport Beach, Tustin, Laguna Niguel, Mission Viejo, Aliso Viejo and greater Orange County, CA. 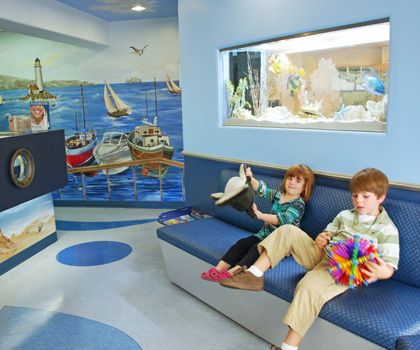 Whether you are looking for a pediatric dentist for your baby or toddler, or an orthodontist for your child or yourself, Irvine Children’s Dentistry offers the professional, inviting and fun environment that you desire. 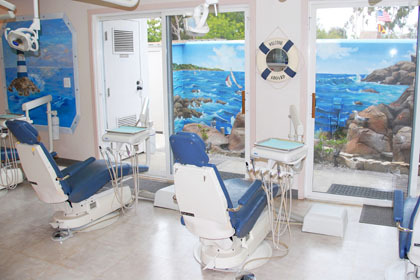 Our office has a warm and friendly atmosphere decorated with a nautical theme in mind. 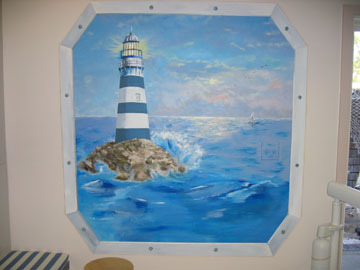 Beautiful murals, a soothing waterfall, ships, boats, and lighthouses can be seen throughout the office. 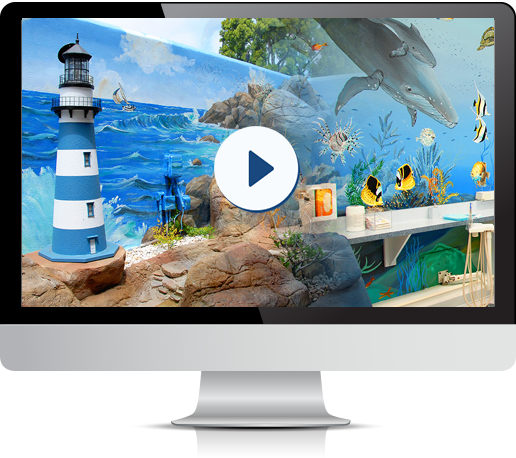 There are video games in our waiting area and video monitors in each of the private rooms where children can choose from over 100 different movies to enjoy. Please feel free to contact us if you have any questions or would like to schedule a first visit for you or your child! 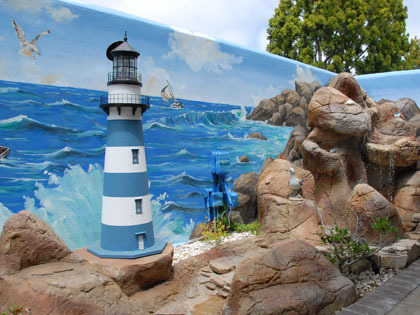 Painted murals throughout by Dr. Lee! 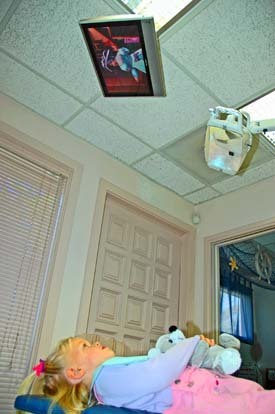 Your child can enjoy a movie during his/her dental visit.